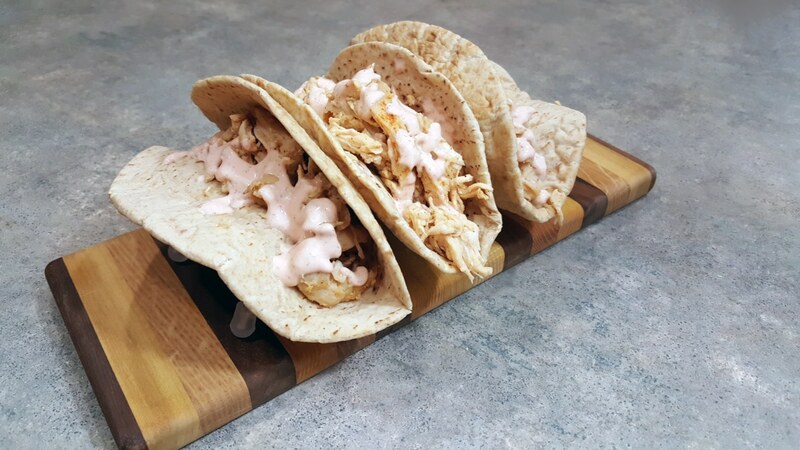 These tacos are great for leftover chicken! In a bowl, combine sour cream, lime zest and juice, salt, pepper, and Sriracha. Place chicken in pita bread and drizzle with sauce.